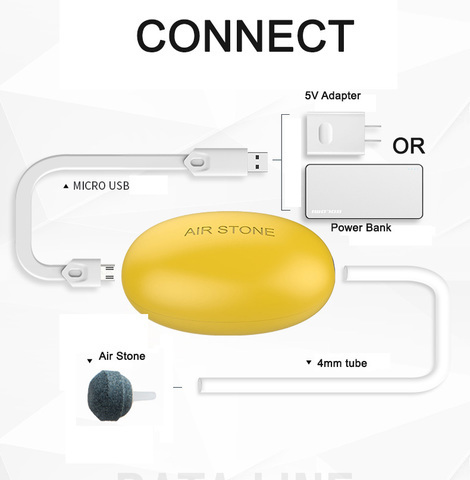 Connect to power bank or any 5v adapter/phone charger. 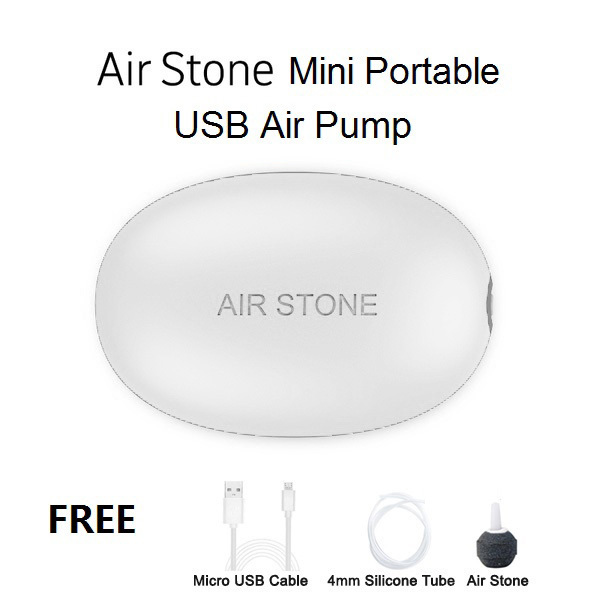 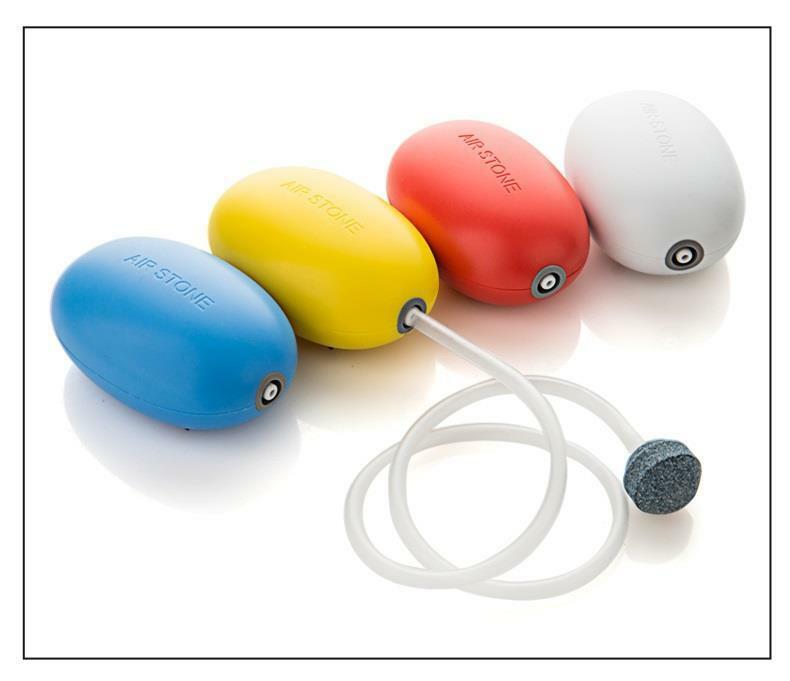 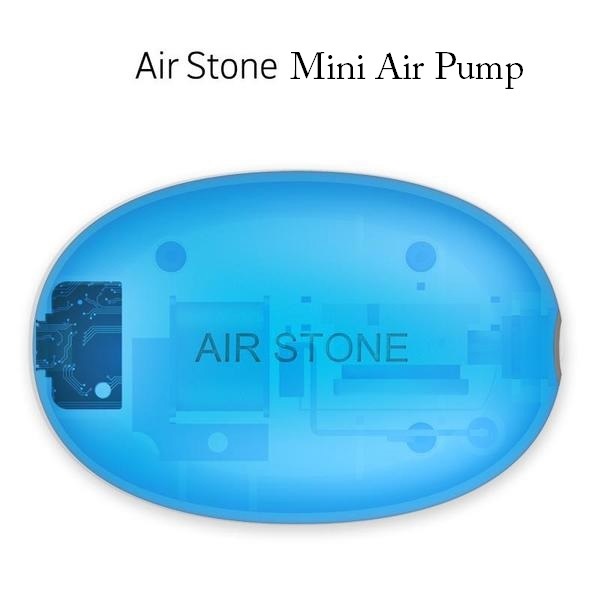 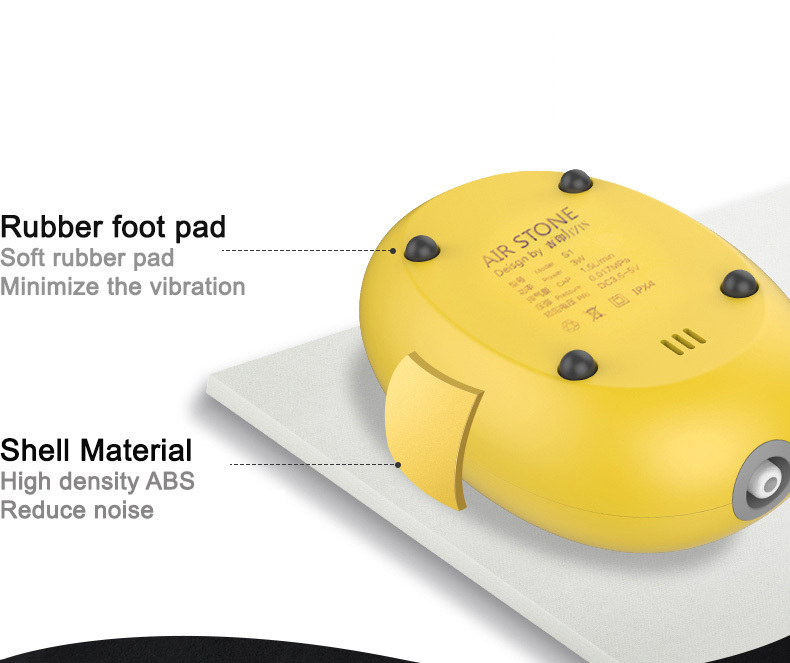 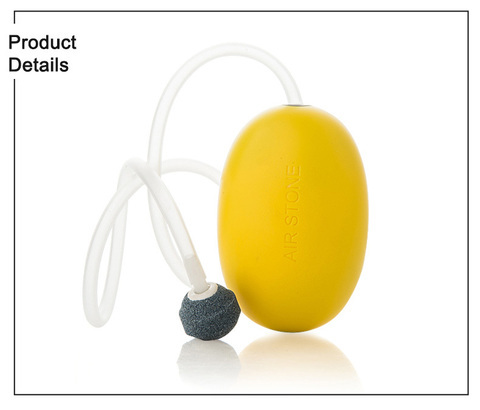 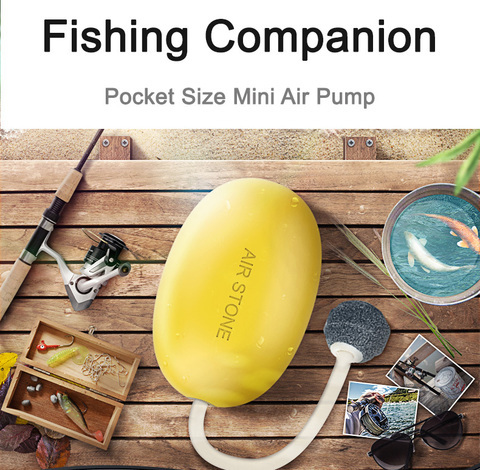 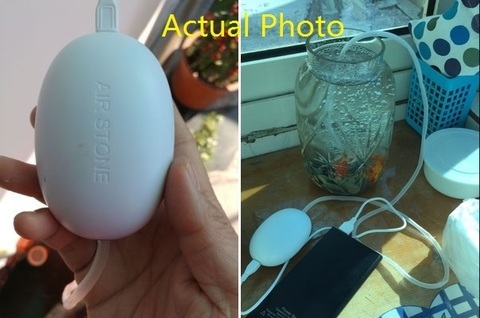 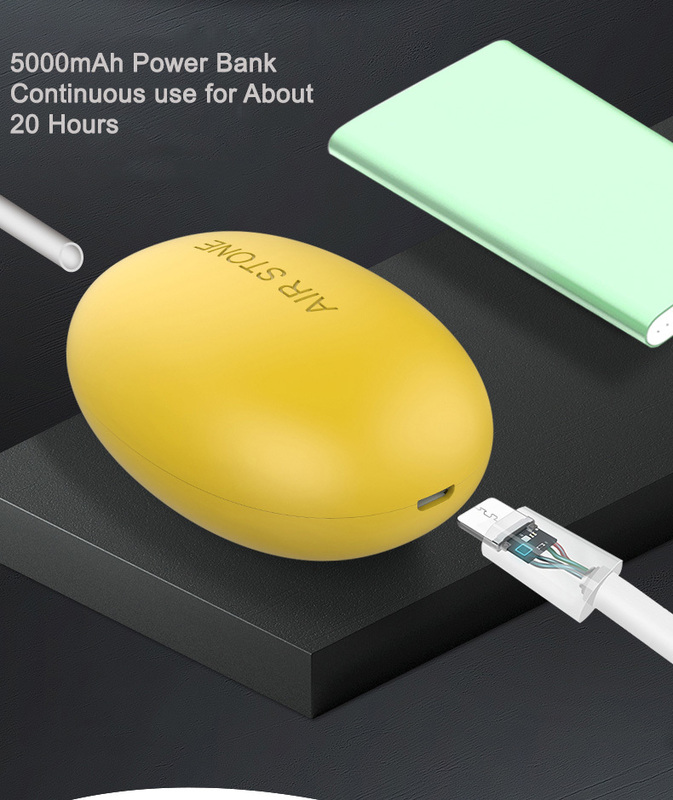 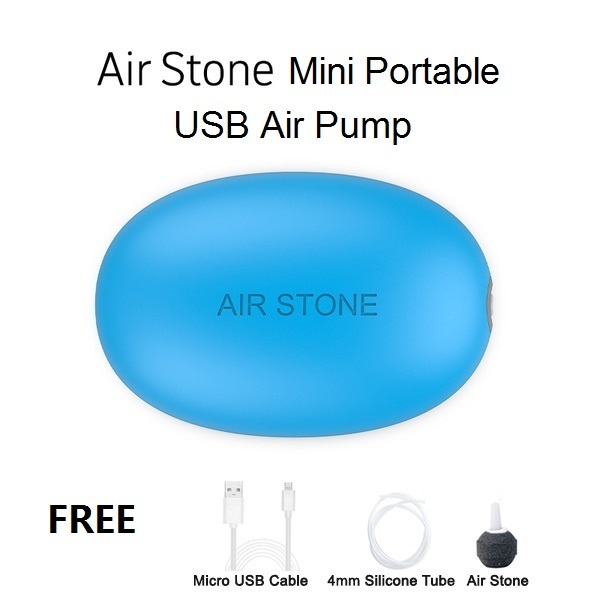 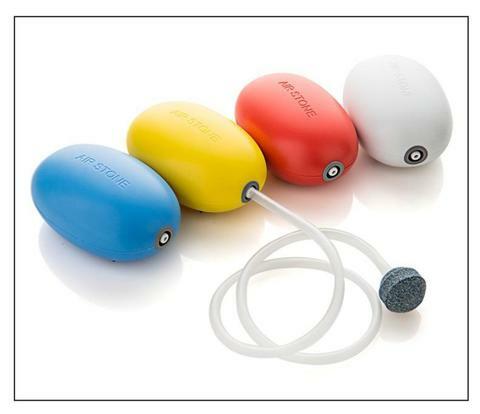 Include USB cable, 4mm tube and air-stone. Keeping fishes alive when fishing outdoors, or for use in case of aquarium electricity power failure.